(MENAFN - Colombo Gazette) Valentine's Day is just around the corner and here's the ideal chance to give that special someone the ultimate surprise. Mount Lavinia Hotel's Baywatch tower has long been the ideal hideaway for many lovers. The Baywatch tower has been sort after by many for 'popping the big question'. Your own private space with a splendid view of the mighty blue and backdrops of the setting sun, the Baywatch tower is one of the most romantic dining spots. It offers an ambience so unique and will definitely be a night the two of you will not forget. Bid for an experience like no other at the Baywatch Tower for the Valentine's Day special. 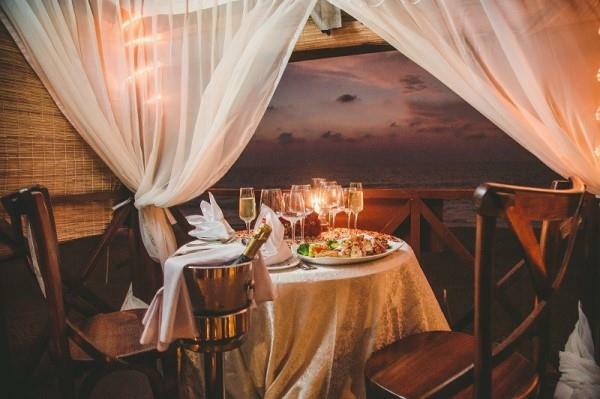 The ultimate valentine package includes a welcome cocktail, a mouth watering five course set menu, your own personal butler on call and free entrance to The Hut to enjoy a few more cocktails as the night progresses.